Hight-Doland Insurance Agency announces the continuation of their collaboration with Big Brothers Big Sisters of Southwest Louisiana, in an effort to raise funds on behalf of mentoring programs for local children. There can be no higher calling than to help kids become contributing, productive members of society. If we want our communities to thrive, we must look to our children and provide them with opportunities to develop strong values and good character. Hight-Doland Insurance Agency has unveiled the latest charity campaign in their ongoing community involvement program serving the families of greater Lake Charles and surrounding areas. The agency has chosen to extend their initiative for Big Brothers Big Sisters of Southwest Louisiana, which offers a variety of mentoring programs which help to set children on a productive life path. Compassionate community members are invited to join the campaign to help local kids by donating here. 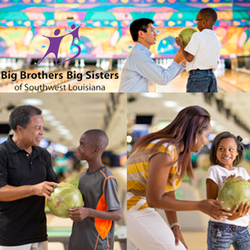 Big Brothers Big Sisters of Southwest Louisiana has come a long way from rather humble beginnings in 1984, now proudly offering numerous services to the community and serving over 300 local children facing adversity every year. A variety of mentoring opportunities are available for volunteers wishing to help build a stronger community through its children, including group activities, summer camps, after-school programs, computer classes and one-on-one mentoring. Proven to enhance educational success, BBBS also helps kids to avoid risky behaviors and form greater confidence and life aspirations. Utilizing its own resources and seeking the help of its vast network of customers and business partners, Hight-Doland Insurance marches on to ensure customers, friends, family and neighbors are always in good hands. Social media and an email awareness campaign will be used to help the agency’s caring team spread the word about the campaign for BBBS. They have also featured the cause in their monthly magazine, Our Hometown, which guides readers to ‘live well and thrive’, and is delivered to thousands of households in the greater Lake Charles area. The electronic Flipbook version of the current issue may be accessed here: http://www.hightdolandagency.com/Our-Hometown-Magazine_41. To encourage participation, Hight-Doland has even set up a Rewards Program which allows people in the community to help local kids at zero cost to themselves. The agency itself has pledged to donate $10 to BBBS of Southwest Louisiana for each and every recommendation they receive for an insurance quote, with no obligation, making so easy for everyone to get behind this worthy organization. Readers who would like to view the campaign, recommend friends and/or make personal donations may do so here. Determined to act as Agents of Change toward the betterment of their community, Hight-Doland just recently launched their master charity program, promising to choose a new local organization, family or individual every two months to receive support. To learn about past campaigns and bookmark for future reference, please visit: http://www.hightdolandagency.com/community-cause.